Declaring that Europe is facing “a moment of truth” with hundreds of thousands of people risking their lives to cross the Mediterranean Sea, the head of the United Nations refugee agency today urged the European Union (EU) to admit up to 200,000 asylum-seekers fleeing conflict zones like Syria, Iraq and Afghanistan. “Europe cannot go on responding to this crisis with a piecemeal or incremental approach. 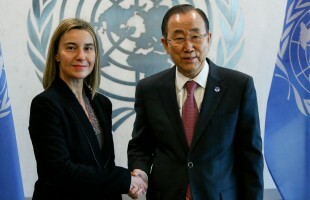 No country can do it alone, and no country can refuse to do its part,” the UN High Commissioner for Refugees António Guterres said in a statement laying out a set of six guidelines ahead of a key round of emergency EU meetings on the crisis. Mr. Guterres said the biggest influx of refugees into Europe for decades required a “massive common effort” and break with the current fragmented approach, which he said has led Europe overall to fail to find an effective common response. “More than 300,000 people have risked their lives to cross the Mediterranean Sea so far this year. Over 2,600 didn’t survive the dangerous crossing, including three-year-old Aylan, whose photo has just stirred the hearts of the world public,” the refugee agency chief said, referring to what UNICEF called a “heart-breaking” incident in which the young Syrian boy’s body washed ashore in Turkey two days ago. Mr. Guterres praised some exemplary and “truly inspiring” examples of generosity and moral leadership on the part of some countries and many private citizens, but reiterated his appeal for a collective strategy including a renewed drive to settle conflicts. This is a primarily refugee crisis, not only a migration phenomenon. The vast majority of those arriving in Greece come from conflict zones like Syria, Iraq or Afghanistan and are simply running for their lives. All people on the move in these tragic circumstances deserve to see their human rights and dignity fully respected, independently of their legal status. 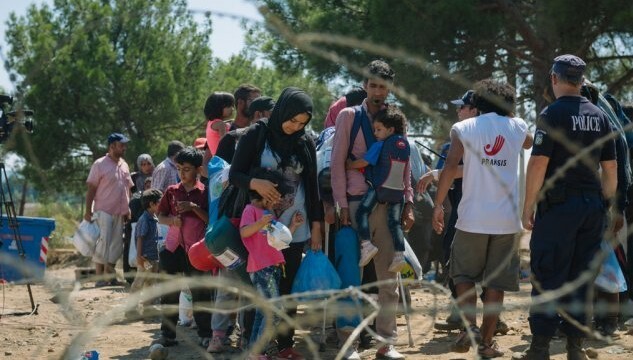 Europe cannot go on responding to this crisis with a piecemeal or incremental approach. No country can do it alone, and no country can refuse to do its part. It is no surprise that, when a system is unbalanced and dysfunctional, everything gets blocked when the pressure mounts. This is a defining moment for the European Union, and it now has no other choice but to mobilize full force around this crisis. Concretely, this means taking urgent and courageous measures to stabilize the situation and then finding a way to truly share responsibility in the mid to longer term. The EU must be ready, with the consent and in support of the concerned governments – mainly Greece and Hungary, but also Italy – to put in place immediate and adequate emergency reception, assistance and registration capacity. Those who are found not to be in need of international protection and who cannot benefit from legal migration opportunities should be helped to return quickly to their home countries, in full respect of their human rights. The only ones who benefit from the lack of a common European response are the smugglers and traffickers who are making profit from people’s desperation to reach safety. 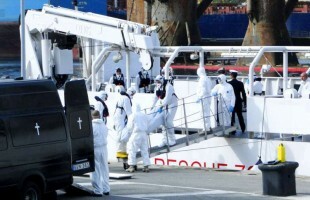 More effective international cooperation is required to crack down on smugglers. But none of these efforts will be effective without opening up more opportunities for people to come legally to Europe. “This massive flow of people will not stop until the root causes of their plight are addressed,” Mr. Guterres said. “Much more must be done to prevent conflicts and stop the ongoing wars that are driving so many from their homes. The countries neighbouring war zones, which shelter 9 in 10 refugees worldwide, must be supported more strongly, along with the funding required.